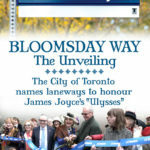 This Toronto-Irish Community Celebration showcases how Irish heritage inspired the City of Toronto to name Beaches neighbourhood lane-ways in honour of James Joyce’s novel, “Ulysses.” Featured participants include Ireland’s Ambassador to Canada, Jim Kelly, Toronto Bloomsday founder, Mary Durkan, broadcaster Rory O’Shea and ex-City Councillor, Mary Margaret McMahon. 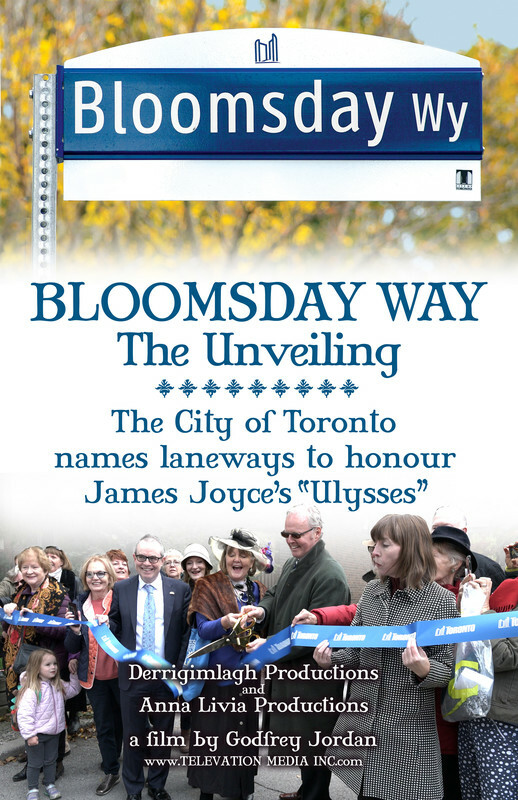 Toronto Bloomsday’s gatherings have taken place annually since 1986 and it recount the events which occurred on June 16th, 1904, as written in “Ulysses.” Musicians, actors, singers, writers and other fun-loving literary folk celebrate the occasion in a classic Irish manner. Director will be in attendance.